The works of J.R.R. Tolkien have given us a lush, vast fantasy realm in Middle-Earth, one that’s extraordinarily archived and detailed in his many writings. But a new book wants to go even further on one particularly famous aspect: Tolkien’s use of botany to tell us about the flora of Middle-Earth... and how its inhabitants smoke it. Being released by Oxford University Press next week, Flora of Middle-Earth: Plants of J.R.R. Tolkien’s Legendarium—written by Botanist Walter Judd—examines over 160 of the plants Tolkien meticulously described in his novels from an academic view, analyzing them from both a critical and scientific standpoint in an attempt to understand how and why Tolkien decided to use them in his works. As well as providing a frankly extraordinary amount of information about one tiny fragment of the world of Middle-Earth, the book also includes tons of beautiful illustrated visuals courtesy of Graham Judd, done in the style of woodcut prints—which makes the whole thing feel like it could almost be some moth-eaten tome compiled by a particularly inquisitive hobbit, sitting on a shelf somewhere in Hobbiton. 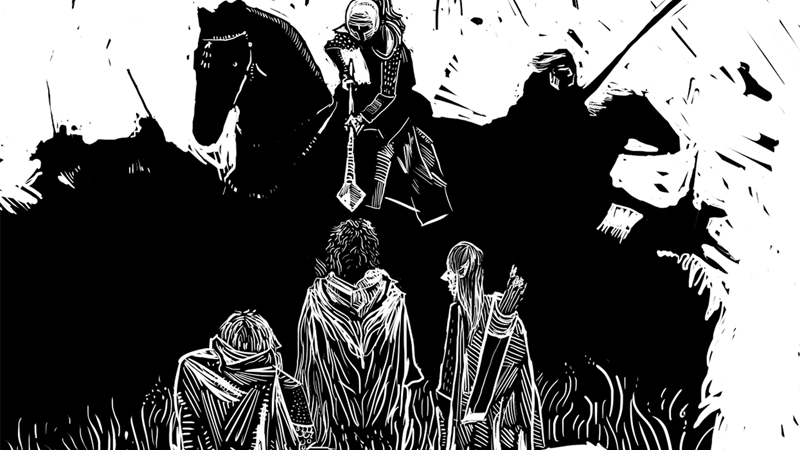 Check out the section of the book dedicated to Middle-Earth’s smoked leaf of choice, the humble Pipe-Weed, making its debut here on io9. Don’t forget to click on the magnifying glasses to see larger versions of each page! Flora of Middle-Earth: Plants of J.R.R. Tolkien’s Legendarium hits shelves August 15.